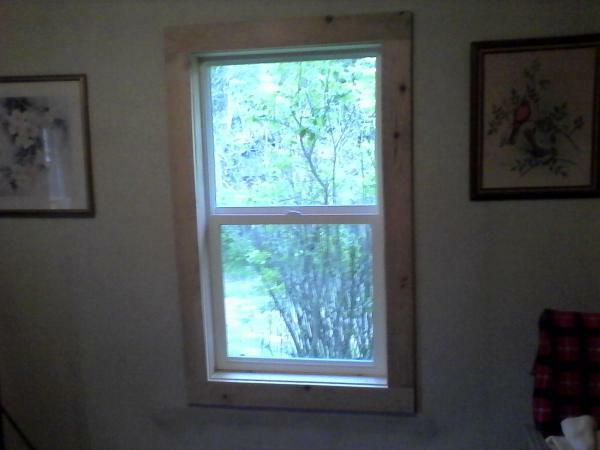 We install new doors and windows that fit your needs. 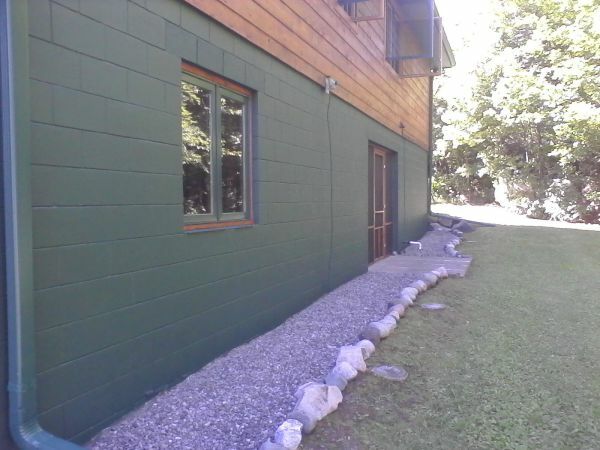 We paint and stain interior and exterior. 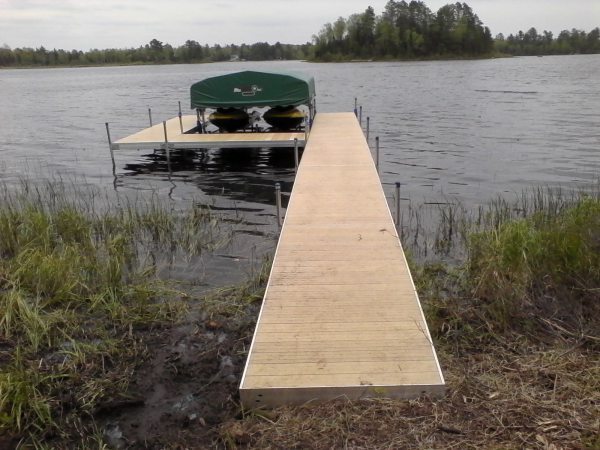 We build removable pier's and also build permeant docks to your likings. We also install and remove piers yearly. We only use the best products when roofing your home, cabin or business. No roof is to large or small, in most cases the roofs we do are CertainTeed shingles. 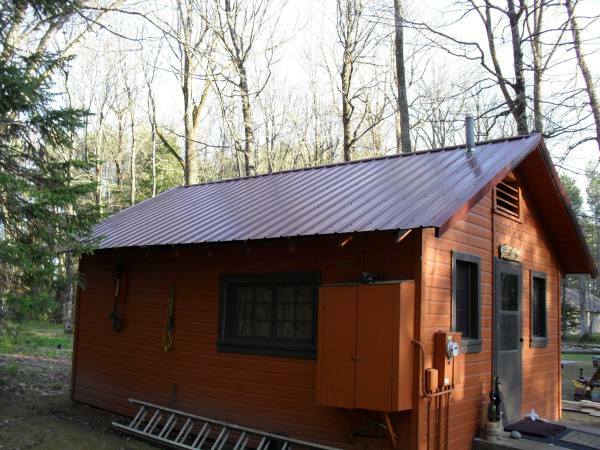 Depending on the style of your home we are not always able to put metal roofing on. We do a wide range of different jobs as you can see. 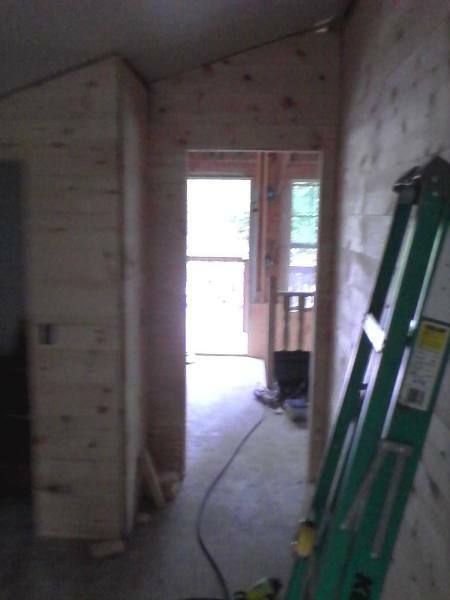 We can gut your old cabin and give it a fresh look or finish the projects you never got around to. We also do sofit and siding, log, lap, vinyl and cedar shake. Having trouble getting down to the lake? 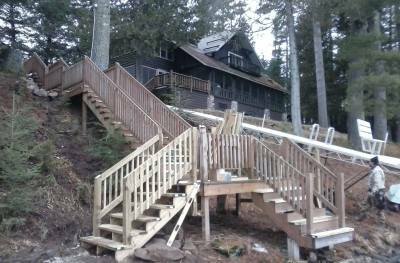 We can build a set of stairs right down to your pier. 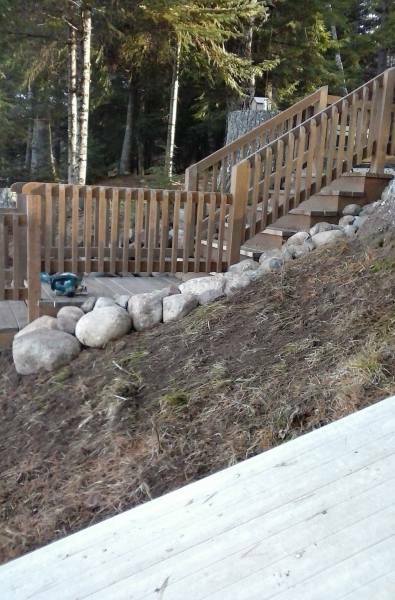 We can fix your old deck or build you a new one from composite material or wood. 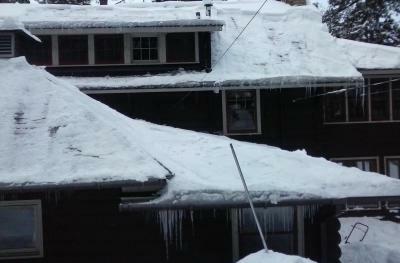 For many older cabins you often have problems with ice buildup on your roof which causes damage from the water backing up into your home. I can come out and remove the overloaded roof of snow and ice. I can also stop this from happening year after year. With a walk around your home and roof and atic inspection, I can give you a list of things to help improve your heat loss and to save you with energy costs.